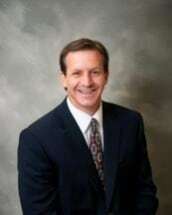 Thomas Scifres has been practicing law in Indiana since 1993. That's over two decades of experience in personal injury and general practice at your disposal when you need legal help. Not only is Thomas Scifres from Indiana, but he is from the Salem community and so he understands the ins and outs of doing law here in his hometown. For that experienced hometown difference, call today! After a decade of law practice in Indianapolis and time in a larger law firm, Thomas Scifres opened his own firm because he was interested in establishing personal relationships with his clients. It is that personal relationship building that makes the Scifres difference! Experience and Compassion Rolled Into One! - Call today for a consultation!